We've been making "O" Cookies as long as I can remember, and my kids have been obsessed with them for just as long. I thought I'd play with other cereals in place of our favorite Trader Joe's O's. 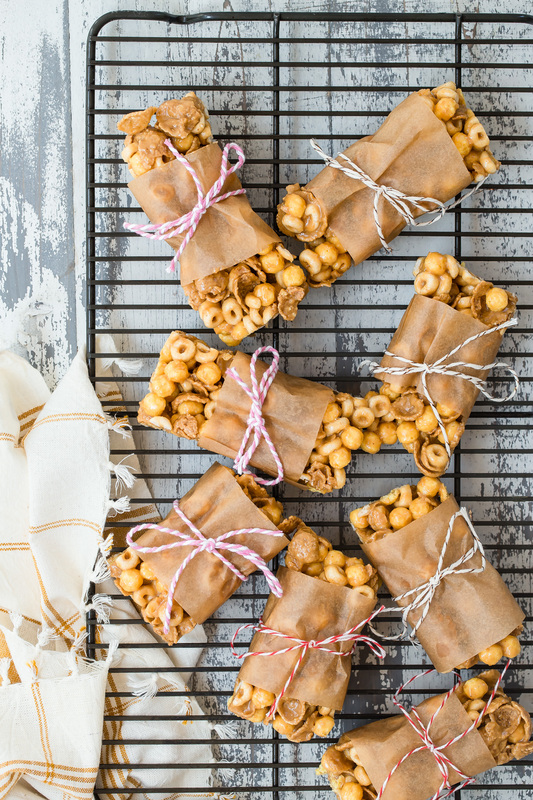 5 Ingredient Cereal Bars are great with any of your favorite cereals, but our current obsession is to use a mixture of cereals! Using a mixture of different cereals adds interesting textures and the kids have fun picking out and naming the different pieces they find. I've made mine with almond butter in this video because that's what we always have on hand, but you can use any smooth nut or seed butter. 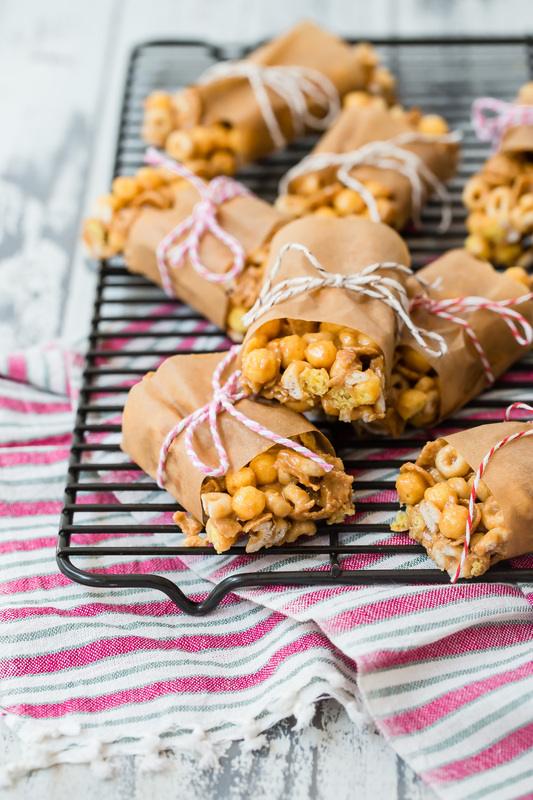 We'll be headed back to school in a few weeks, and I can guarantee these cereal bars will be making an appearance in the lunch box as well as on the breakfast table. 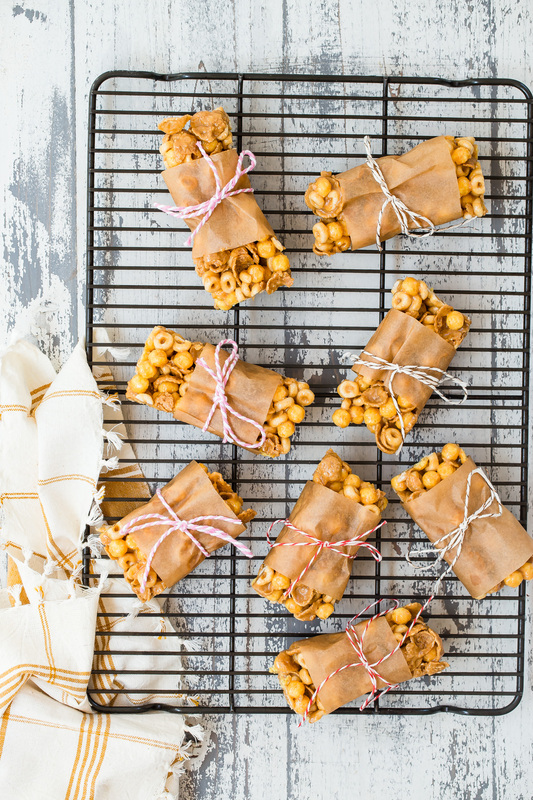 What cereal will you use for your cereal bars?! Let me know in the comments below! 1. Place the first 3 ingredients in a pot over low heat and stir until throughly combined and warmed through, about 2 minutes. 2. Place the cereal and oats in a large bowl and stir to combine. 3. Pour the warm peanut butter mixture over the cereal and stir to coat the dry ingredients thoroughly. 4. Place the mixture into a parchment lined 9x9 inch baking pan gently pressing down into bars. 5. Freeze the mixture for at least 30 minutes. 6. Remove the bars from the pan, remove to a cutting board and using a serrated knife cut into bars. * oats can be toasted in a 350 degree oven for 10-15 minutes if desired for a more “toasty” flavor. Any other options instead of the oats? My kid is oat free. Can I used chunky peanut butter instead of smooth? Can I use anything in place of the coconut oil? Could I just leave it out? How long will these last in the fridge? In the freezer? Also, any options for using less sweetener? I made these for this kids this week and they LOVED them! Great recipe and so easy to pull together! This recipe is great. Just remember to not add too much honey!